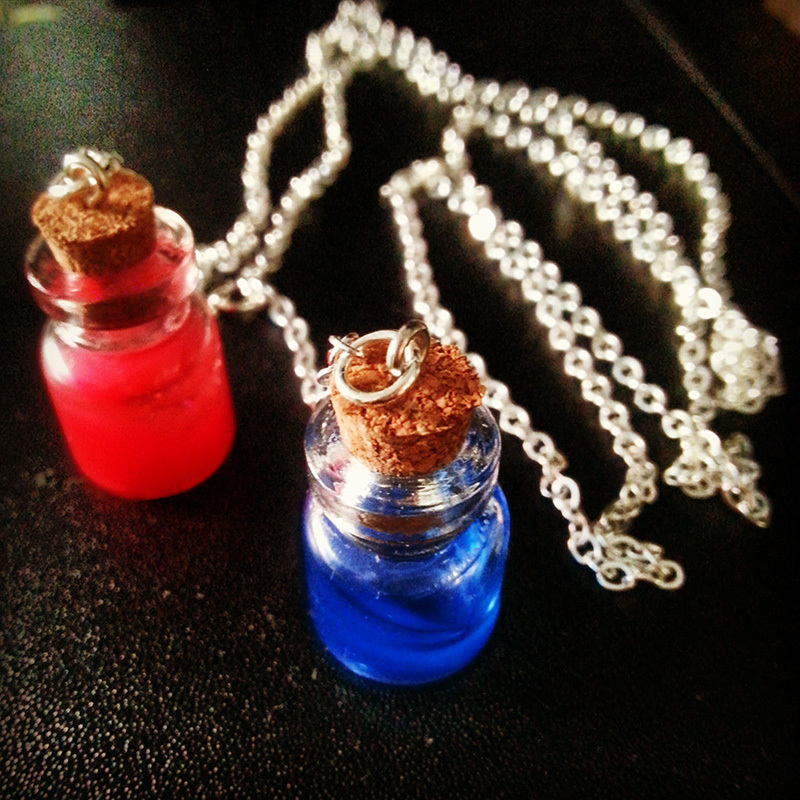 You are at:Home»DIY»Crafting»Mana and health-potions necklace – forget being out of mana! 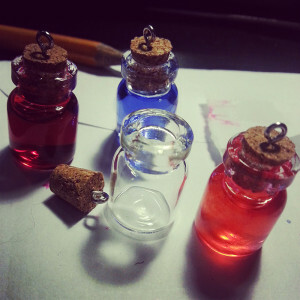 If you have mana- and health-potions with you all the time, you are prepared for sudden boss fights aka important meetings. 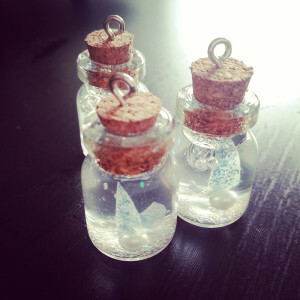 And the best: this jewellery is absolutely suitable for the office with a subtle geek statement. Because who likes to choose the boring business-look over the cool geeky comicprint shirt. But with this necklace you can show your geekyness in your everyday job! And you can see who of your colleagues has a little geek inside too, because they will recognize it! This beauty is made of 2 flacons (1,5cm high each) on a 1m silver chain. The flasks are filled with clear liquid glue mixed with red or blue ink. I’ve also made a variation with a cabochon displaying an extra-life symbol. You know, in case of emergency. Very easy to do, very nice.